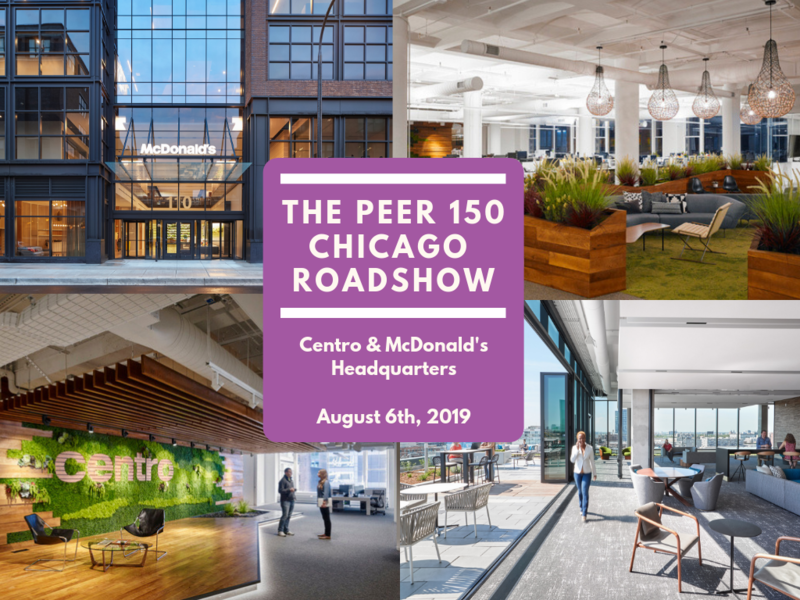 The Chicago members of The PEER 150 are honored to host a day of networking and content at Centro and McDonald’s Headquarters. Attendance is open to senior human resources executives approved by our PEER 150 team. You are invited to join us for a day of engaging content and idea sharing, along with great food and plenty of networking time with your peers. We look forward to seeing you on Tuesday, August 6th! GetFive provides high-touch outplacement, career transition and executive development solutions that drive human capital ROI. Our outplacement solutions guarantee unmatched one-to-one coaching hours and make a science of getting back to work. Our targeted executive coaching programs focus on the development areas your employees need most to maximize professional potential. Known for our fanatical dedication to client satisfaction, we offer customized, scalable solutions for every employment level and stage. Visit us at getfive.com to schedule a complimentary strategy session and to find out how our programs can benefit your employer brand ROI. Centro is a global provider of enterprise-class software for digital advertisers. Its technology, Basis, is the industry’s most comprehensive and automated digital media management platform. Through a single user interface, Basis converges the entire advertising workflow, enabling marketers to plan, buy, analyze and streamline campaigns for programmatic, direct, search and social. By unifying all major aspects of digital media into one platform, Basis breaks down silos, improves performance, and helps businesses grow profitably. Headquartered in Chicago with 40 offices across North America, Centro has received numerous accolades for its programmatic software, commitment to employees and workplace culture. McDonald’s USA, LLC, serves a variety of menu options made with quality ingredients to nearly 25 million customers every day. Ninety-five percent of McDonald’s 14,000 U.S. restaurants are independently owned and operated by businessmen and women.